Place all ingredients except for the chia seeds in the blender. Blend until well combined. Taste and add more honey if needed. Add the chia seeds and blend on the lowest speed until combined. Pour into popsicle molds. Freeze until solid. 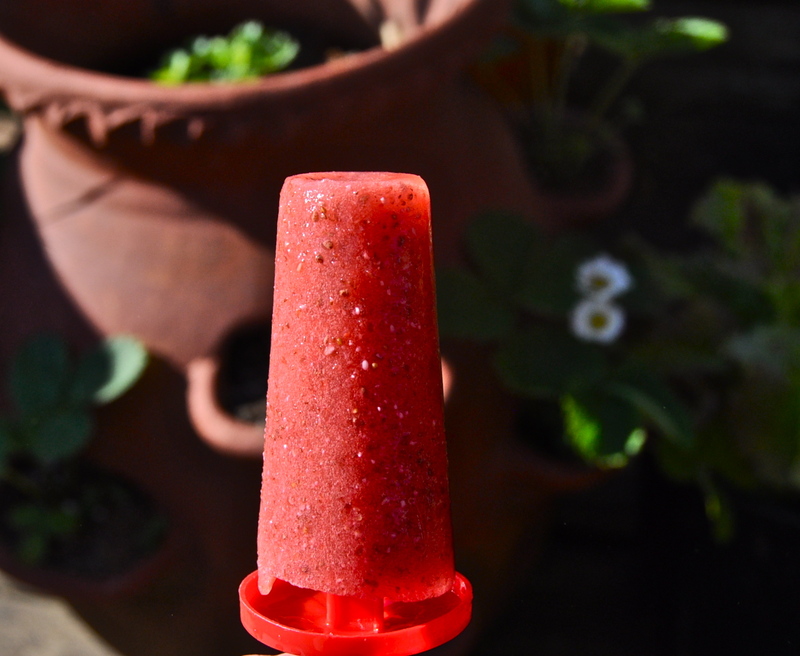 This entry was posted in raw, snack, vegan and tagged chia seeds, fresh, healthy, honey, popsicles, raw, strawberry lemonade, summer, vegan. Bookmark the permalink. I find it’s difficult not to sprinkle the world with Chia Seeds!!! lol, I like the way you think!